While new technologies come and go, the fundamentals of competent receiver design remain constant. It's best to think of it in simple terms: a power supply, an input stage, a driver stage, and an output stage that all combine to amplify signals without any loss in quality. The current that drives the loudspeakers is generated by the receiver's power supply. You can never underestimate the importance of that power supply-its quality and stability shape the character of your music. 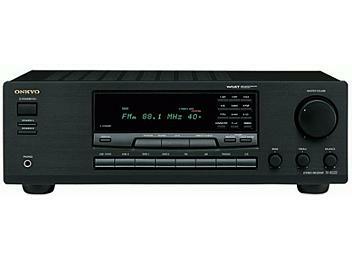 This is the direction Onkyo has taken with the TX-8222. Built for those who value the benefits of time-proven amplification design, the TX-8222 incorporates core Onkyo technologies-and an array of features you'll actually use-to bring you a no-nonsense stereo receiver that will deliver audio and radio signals with agreeable quality.